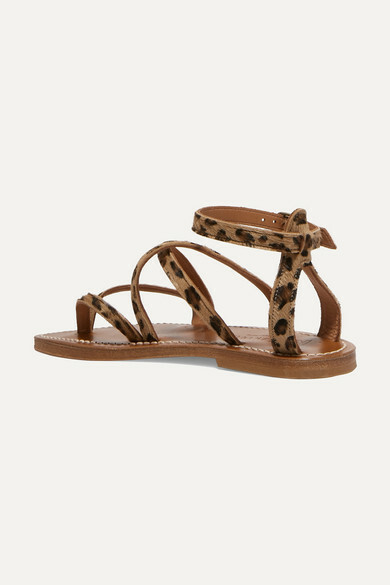 K Jacques St Tropez's 'Epicure' sandals have been made in France from smooth leather topped with tactile leopard-print calf hair straps that lace across your foot. 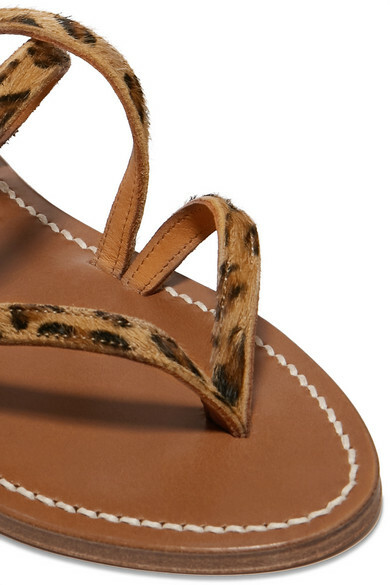 Wear them on vacation with fluid dresses, or back in the city with breezy wide-leg pants. Shown here with: Zimmermann Dress, Jacquemus Tote, Tohum Bracelet, Annie Costello Brown Earrings.